Commerce has become an area of central importance to the South Pacific region. Although the countries are small it is widely acknowledged that their need to promote and develop commercial enterprise is crucial for their future sustainability. 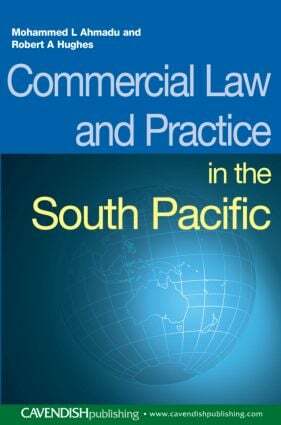 This new textbook is the first to examine the main areas of commercial law in the common law jurisdictions of the South Pacific region. These jurisdictions include the Cook Islands, Fiji Islands, Kiribati, Marshall Islands, Niue, Nauru, (Western) Samoa, Solomon Islands, Tonga, Tuvalu and Vanuatu. The text is divided into six parts each with its own introduction to aid the reader through each particular area. aspects of foreign trade and international commerce relevant to the region.